Tropical Storm Daniel was weakening when NASA's Terra satellite passed overhead on June 24 and by June 26 the storm degenerated into a remnant low pressure area. 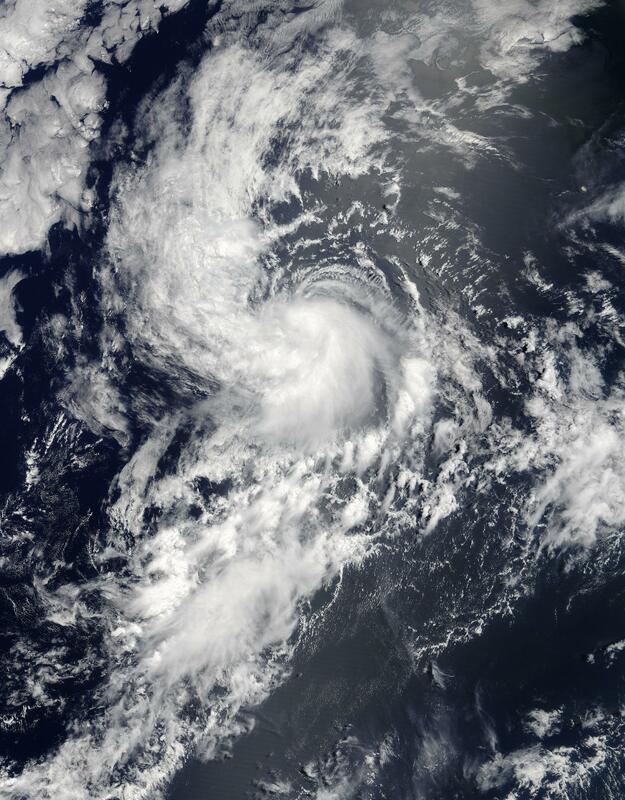 On June 24, the Moderate Resolution Imaging Spectroradiometer or MODIS instrument aboard NASA's Terra satellite captured a visible image of Tropical Storm Daniel at 2:30 p.m. EDT (1830 UTC), when it was off the west coast of Mexico. The image showed a small, concentrated area of strong storms around the center of circulation with bands of thunderstorms feeding into the center. Two and a half hours later, the National Hurricane Center noted "Daniel continues to generate a curved band of convection near the center, although the cloud tops have warmed notably during the past several hours." The post-tropical cyclone is moving toward the west-northwest near 9 mph (15 kph). NHC forecasters noted that a westward motion is expected to start later today. Maximum sustained winds are near 30 mph (45 kph) with higher gusts and is forecast to dissipate by Wednesday night, June 27.